This is a story that will grip you from the first page sucking you into the story until the very end. You will fall in love with the characters and their struggle of overcoming your past by finding the strength to change your future this is a story you won't want to miss. A childhood mired in emotional and physical abuse, Eve runs away to escape her imprisoned life. Changing her name and her look, she begins her life as a roadie and ends up on a year long indie music tour. Now, living a lie perpetuated by the need to stay hidden, she find friends and love built on the tenuous strings of deceit. Living everyday in a different city, Eve hopes to stay one step ahead of the one person who seeks to again imprison her. Wow! What a ride this book was. Romantic. Suspenseful. Swoon-inducing. Anger and frustration causing. So many emotions and I still couldn't get enough. I loved how this book opened - exciting and suspenseful right out of the gate. Flash forward one month and she's working as a roadie and then moving on to an even better roadie venue where she meets love interest, West. In the socially sheltered life Eve comes from it's believable how tentative she is with West's and his pursuing interest. West is the perfect hero, because he has his own traumatic past and recognizes a similar past within Eve. I always love a slow burn romance and this one sucked me in. It was fun, warm and considerably heart-melting. As for the suspense and psychological aspects, I was on the edge of my seat and ready to fight for Eve's safety. It was a scary scenario getting a behind-the-door look into Eve's home life and the manipulation by someone who should have been loving, cherishing, and trustworthy. Seeing that this is a YA book, the abuse is not too explicit, but the inferences are still high on the sad and "ick" factor. Although the suspense ratchets up, Eve's empowerment from living on her own ultimately shines and we're left with a wonderful HEA. Albeit a bit of an abrupt ending, it was perfect for this impressive book. I was given a copy of this book from Entangled Teen (via Netgalley) in exchange for my honest and unbiased review. 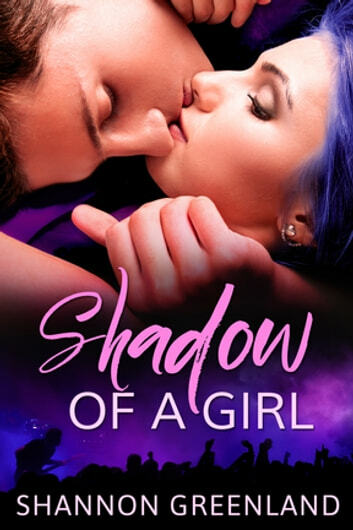 Shadow of a Girl by Shannon Greenland....Oh my goodness, this is one of my favorite YA, I have read I could not put it down. Eve and West were so well written and believable you feel all their emotions. I loved watching their stories unfold. If you are looking for a great weekend book this one is for you. I was given a complimentary book by publisher via NetGalley for an honest review.